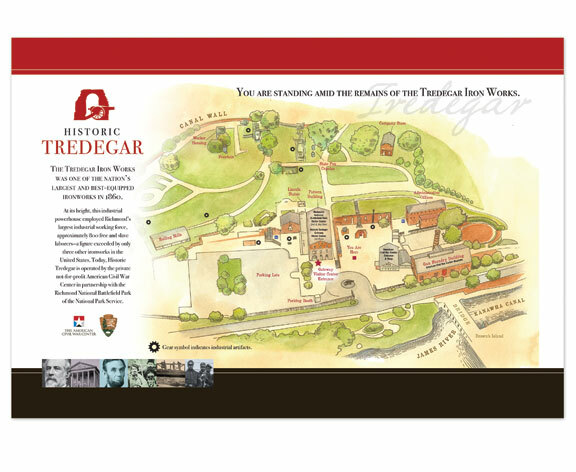 This was a designer’s dream branding project: to create a new logo identity for the Historic Tredegar museum, and design all of the museum’s new collateral. Flourish created an entire suite of materials; pocket folder, letterhead, a full series of museum brochures and site guide, capital campaign literature, kiosk signage design, banners for the museum’s iconic archway, and a bevy of environmental signage. 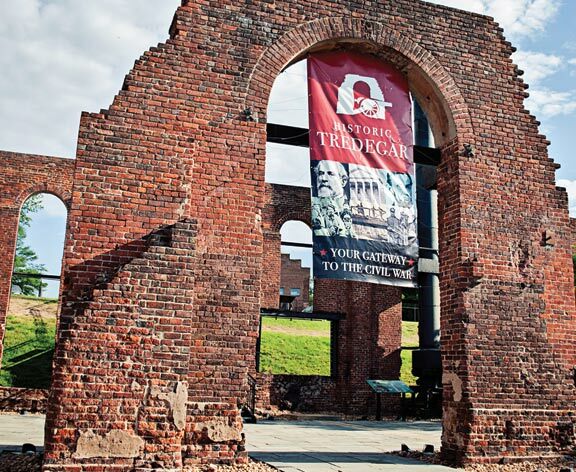 New banner for museum archway. We even hired Richmond artist Ed Trask to paint the museum's new logo type on the Pattern Building.